Roman boatbuilder Canados signed a partnership with the refit house Tecnopool, based in Viareggio, Italy. The Italian yacht builder Canados is partnering with shipyard operator Tecnopool. Canados said the partnership agreement with Tecnopool is a double-sided deal that benefits both companies. 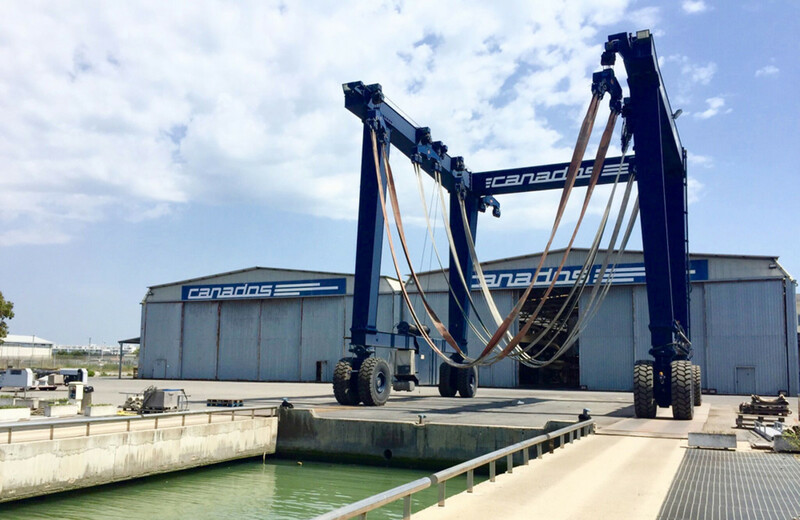 Canados will now be able to offer Canados owners service and warranty works in the most reputable Mediterranean shipyards, using the leverage and technical assistance of Tecnopool’s experts and project managers. On the other side, Tecnopool made Canados its exclusive service and refit partner in the area going from the Argentario region to the Gulf of Naples. Canados will service Tecnopool’s wide client list in Rome, where most yacht owners like to cruise, but were not able to find professional shipyards. The French entrepreneur acquired the company earlier this year. “Not only the facility is first class, Canados, unlike most shipyards, does everything in-house. Their wood shop, in particular is absolutely unique,” Campini said.